The North Beach Rowdies Association was established in 1983 as social organization to gather friends and family whom grew up together in North Beach in San Francisco. The Association's first social activity started with a softball team called the North Beach Rowdies in the San Francisco Recreation and Park Department. The first organized softball game was held on April 9, 1983 at field #1 at Lang Park against S.F. Muni. The Association fielded a team for 20 straight years until 2003. Six of the original players from the first game also played in the final game 20 years later. During the majority of those years, we were self sponsored, but for a few years, we were sponsored by The Greens Sports Bar and by the San Francisco Italian Athletic Club. 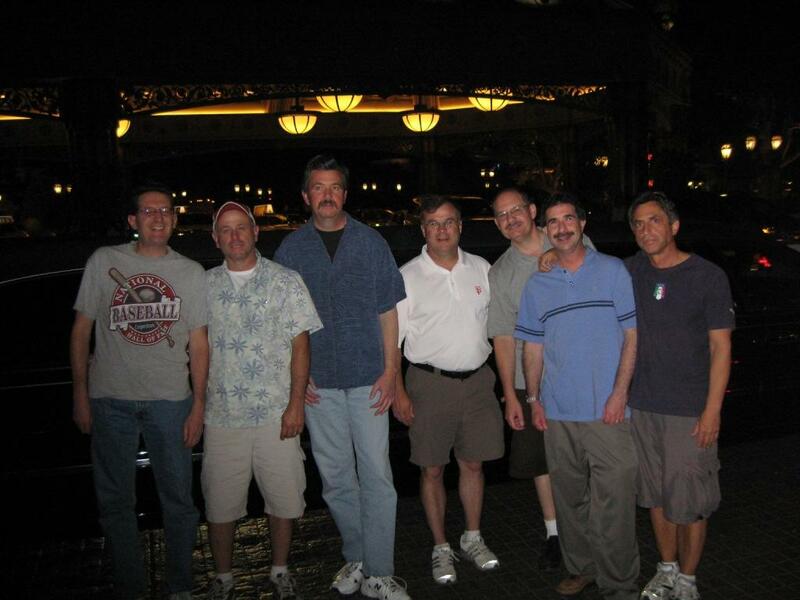 Through the 20 years, the following played on our softball team: Tony Azzopardi, Ken Baccetti, Anthony Battaglia, Bob Battaglia, Larry Battaglia, Tom Beatty, Mike Beltrami, Paul Bracco, Phil Colla, Dennis Cresci, Tom Cresci, Jackie D'Asaro, Phil D'Asaro, Robert David, Jean Etcheveste, Dave Franzoia, Robert Franzoia, Anthony Germano, Greg Gomez, Dave Jay, Dave Martinez, Lonnie Pasquini, Lou Pinotti, Rob Pinotti, Ron Ragusa, Mike Schoenholz, Ron Serchia, Billy Willis and Mark Zuffo. In addition to softball, the Association has sponsored and participated in golf events, bocce ball events and paintball events. Our Association has also donated funds to various organizations and charities including the Salesians Boys and Girls Club in San Francisco.